Join our team for the Can Do 5K! Can Do 5K - Sign Up Today! Looking for a fun, family-friendly event to get everyone moving? Would you like to support those with special needs in our school and community? 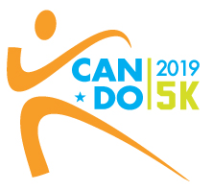 My Village Northwest and the Northshore YMCA are holding their 11th annual Can Do 5K race in Bothell the morning of Saturday, April 27th -- and Canyon Creek PTA is putting together a team! This is a family event and a wonderful celebration of inclusion, as well as a professionally timed 5K for avid runners, right in our community! There will be the 5k, a one mile walk, along with kid dashes - something for everyone! Those Who Reach…Touch the Stars! The Can Do 5K course is a fabulous flat and scenic course and is both family friendly and challenging for the experienced runner. Proceeds benefit local families with children with Special Needs – to increase opportunities for inclusion, specialized camps and activities, and advocacy. Features 5K Run/Walk, Mile Walk, Kid Dashes & Mascot Dash! For more information please visit www.cando5k.org. Find the schedule for the day here. Use the link below to sign up today! There is a family registration rate of $60 for 2-5 people! The registration process asks you to make a donation as well-- that is optional. You get one t-shirt with a family registration but have the option of purchasing additional. Our team name is "Canyon Creek Coyotes" - it should default to that team if you use the link below, but you can also search for it if you go directly through the run website. Not into participating, but want to support our team? Well, just use the link above - and select Sleep-In Registration!!! For a $30, you will be a part of the team AND will get a t-shirt sent to you!! Contact our Canyon Creek PTA Can Do 5K Team Leaders, Bethany Jager and Casey Dwyer with any questions you have. Tell your friends, get others to join you for this fun event! !